For more than one year, a multi-disciplinary team of great thinkers worked on this amazing project. 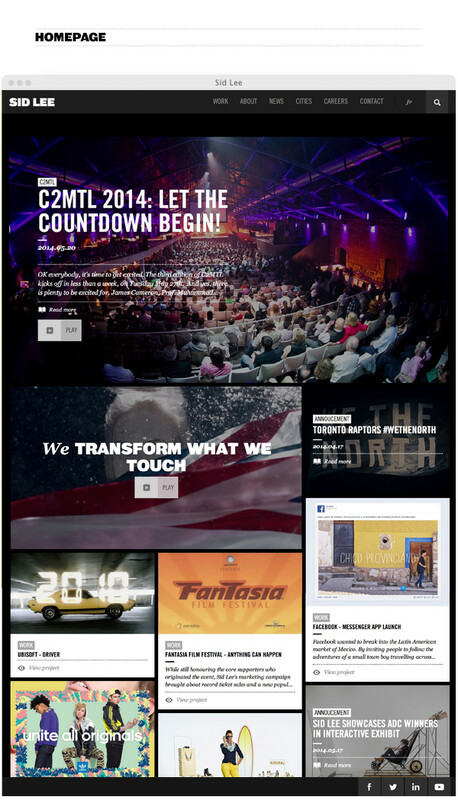 The result is an awesome website, fully responsive, built on sitecore. 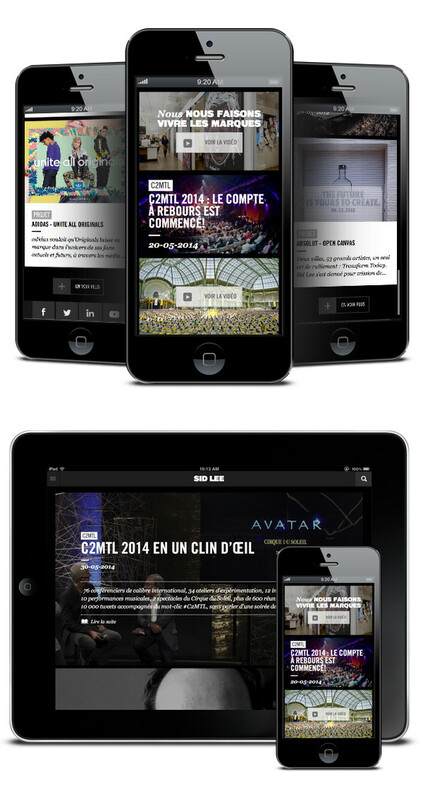 Launched just in time for the 2014 edition of C2 MTL, we were happy to see the communication team update the site with news from the event. 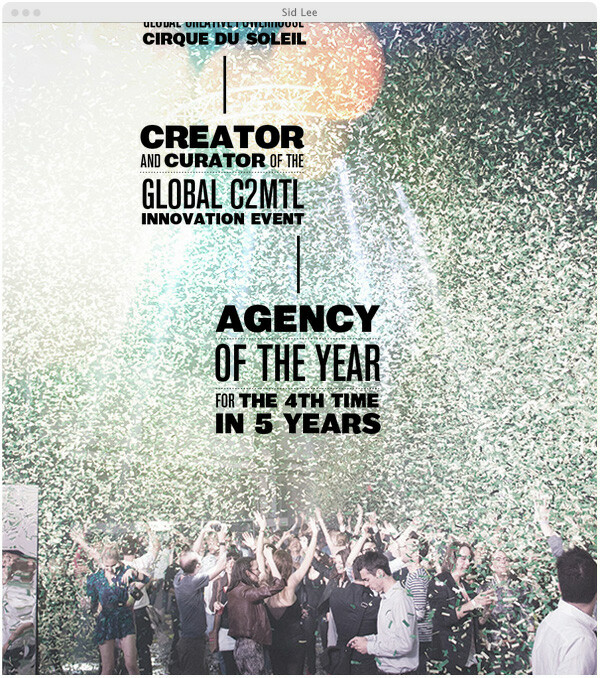 Now teams from our 5 offices in NY, Paris, MTL, Amsterdam and Toronto can update their respective page. We also integrated the different units website under one unique umbrella structure. 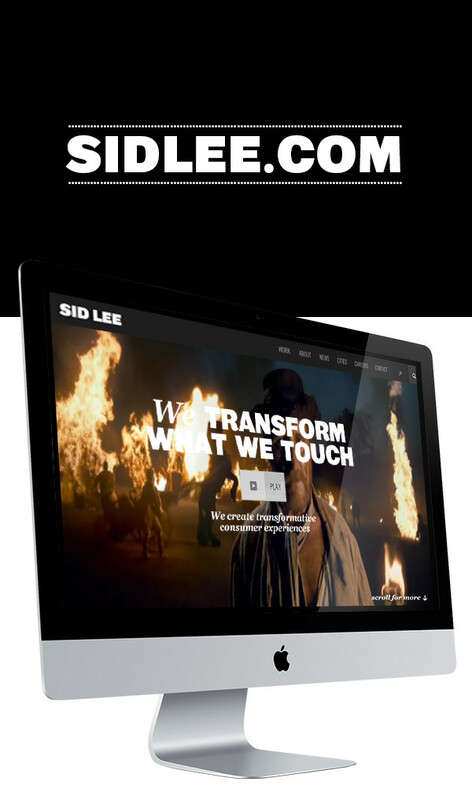 (Sid Lee, Sid Lee Architecture, Jimmy Lee, Sid Lee Technologies and Sid Lee Entertainment.